M3iworks has taken Security Public Storage through several renditions of their national storage unit directory website. The latest version features custom templates, custom map-based location services and the ability to book storage units online. 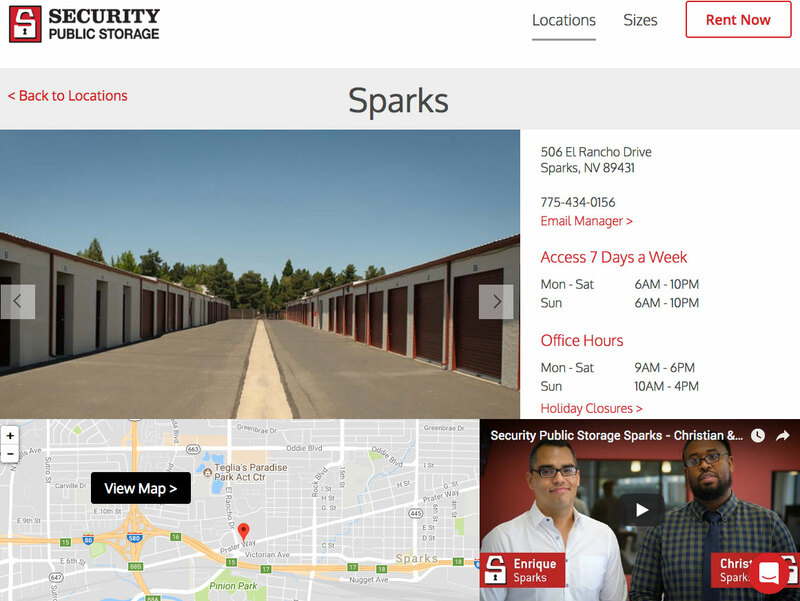 M3iworks built a custom map-based directory for Security Public Storage’s nationwide network of storage facilities. An integrated booking mechanism enables users to book storage units and make availability inquiries. M3iworks leveraged the power of Drupal to enable full editability and content control for Security Public Storage marketing, remaining on-call for troubleshooting and new feature requests.